How fortunate we are to see and experience incredible spectacles of nature. It’s easy to see the beauty of this penguin and its reflection, but I see something more: the beauty of water that is taken back to reveal the sand which becomes the mirror that reflects the drama and splendor of nature in perfect detail. 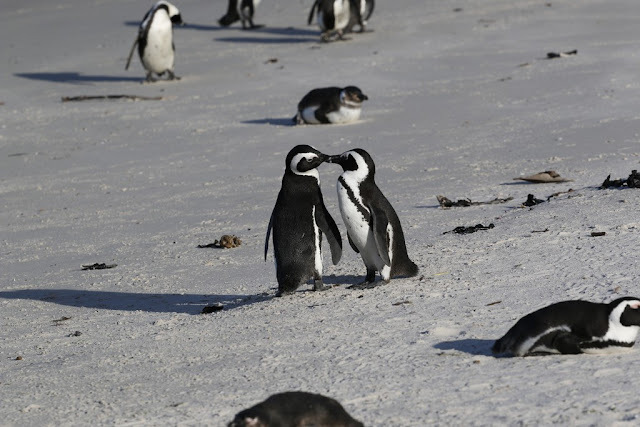 According to Boulders Beach staffers, Climate Change has affected fish stocks and increased severe weather incidences have depleted penguin chicks in numbers. 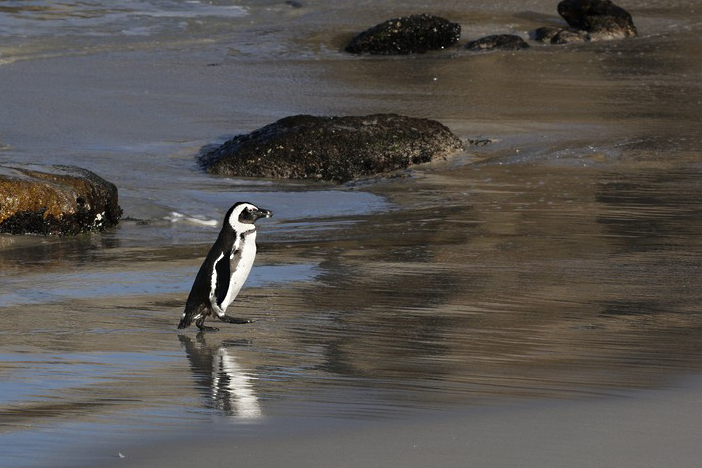 When I asked a Boulders Beach staffer if tourism had a negative impact, his reply, "No, just the opposite. Your visit help sparked a lifelong commitment to saving their future." It’s sad that the US president does not believe in climate change or global warming. The fragility of our environment is clearly evident now more than ever. Our planet earth is worth protecting. Much like the sand, we too can be mirrors and reflect the best in one another to spur each other into action. 1. Photos by the author and Vincent Chan. 2. 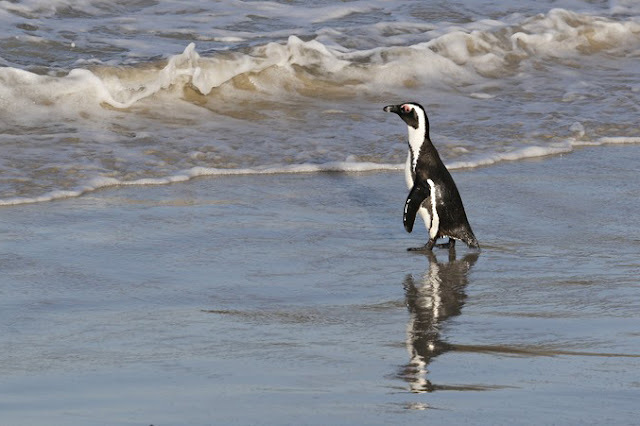 * Penguin Facts from South African National Parks, Boulders Penguin Colony literature.